Cradle your instrument in our new pedal steel workstand. 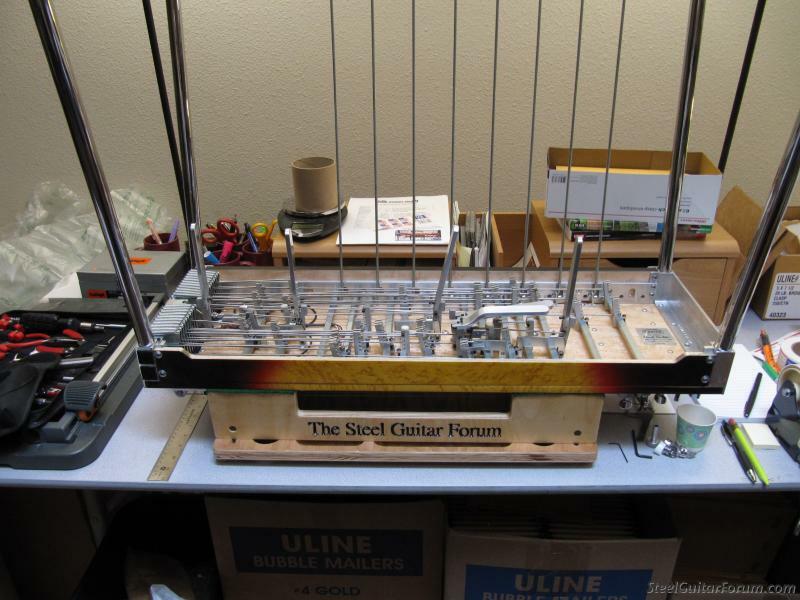 Designed by Ross Shafer (of Sierra fame) exclusively for The Steel Guitar Forum, it can be adjusted to fit almost any single- or double-neck pedal steel. 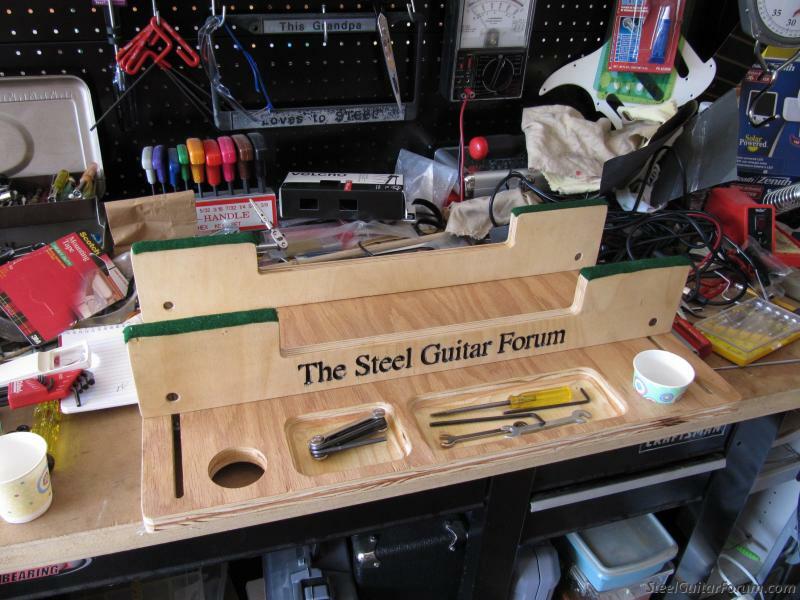 This picture of the prototype was taken on my messy workbench, but you could just as easily flip over your guitar onto the kitchen table or even the bar at your favorite watering hole for an emergency repair.